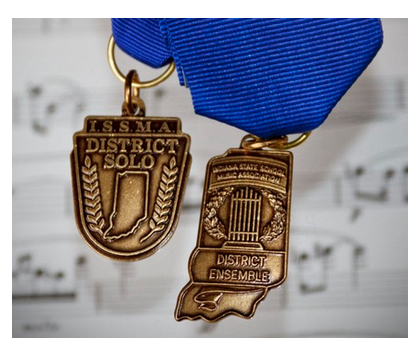 The Music department, led by Mr. Mike Brown and Mrs. Jill Hamm, had an outstanding showing at the recent ISSMA district competitions. Between the Vocal/Piano and Band competitions, Westview students earned 36 gold medals, 5 silver medals and 12 students will move on to perform at the state level! Congratulations to all of you!